Spray foam insulation, properly known as closed-cell spray polyurethane foam, has made its mark on the insulation industry and proponents say there’s no better material for sealing your home from unwanted air and moisture. In some cases spray foam can be applied to the inside of roofs and under floors in existing homes and, of course, it can be used in a new addition. 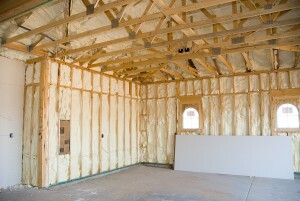 Trying to decide if spray foam is the right insulation for your home? Here are six reasons to strongly consider this insulation material. Moisture can’t soak its way through polyurethane spray foam’s closed cell structure the way it can fiberglass and cellulose. Spray foam acts as an effective air barrier that puts an end to energy lost due to air infiltration—drafts through walls sockets, windows and doorways that can account for up to 40 percent of a home’s energy loss. By sealing the stud and wall cavities from end to end and top to bottom, spray foam closes all the gaps. The R value (a sign of insulation’s ability to retain heat) is higher in spray foam than in traditional products because it provides a no-leak seal and is very dense. That means your home is more comfortable and less expensive to heat in the winter and cool in the summer. Another bonus: Demands on HVAC equipment won’t be as great. Spray foam seals and insulates in one step, and it stays in place because of its adhesive qualities. Though often used as an air-sealing treatment step before filling an attic with blow-in insulation for instance, used in larger amounts, it can eliminate the need for a second type of insulation. Spray foam is permanent, seamless and virtually sag-proof, so it adds to your building’s stability. Once the foam cures, it’s not going to settle or shift. Mold and mildew can’t get a foothold because of the spray foam’s moisture barrier. Closing up gaps means that other nuisances, like dust, pollen and other irritants and allergens, can’t get into your home through cracks. Spray foam also has sound reduction properties to make your home acoustically tighter, with less noise able to travel from room to room. To learn more about spray foam insulation or if you’re ready to get it installed in your home, give us a call or click here for a quote! 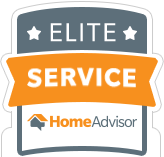 At Green Comfort Solutions we can provide the best advice and installation services to meet your home’s specific needs.